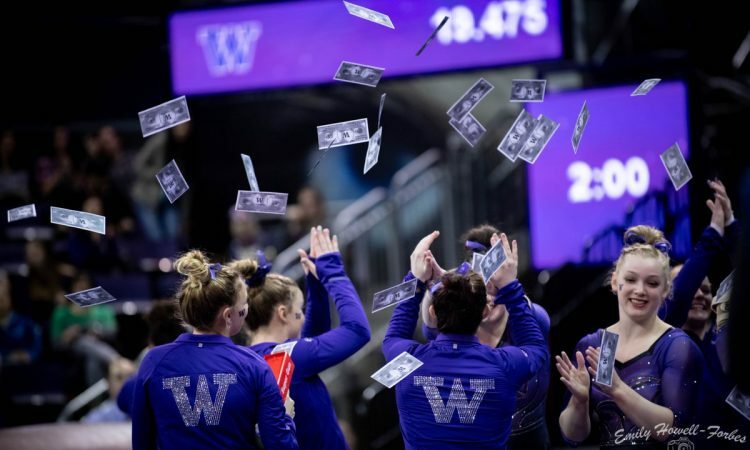 The Huskies had an odd showing at their home opener last week, struggling on beam to allow Oregon State to sneak the win by a few tenths. It would take more errors to risk an upset by Stanford, but Washington’s vault lineup is still a question mark. We’ll see whether freshman Brenna Brooks makes her all around debut this week or whether injury question marks like Michaela Nelson are able to return to the lineup yet. Meanwhile, Stanford has been building slowly this year, and I’m interested to see if the coaches there make up their minds about which underclassmen will constitute the bars lineup. I’ll also be hoping for Grace Garcia to hit her 10.0 vault more convincingly. Yay we’re here! Really excited for this meet. I don’t have a solid reason it just feels like a good one. Also it’s PINK and neither of these leotards is bad at all. COLE – STANFORD: Solid full. Decent height, piked down a touch, hop back with legs apart. WASHINGTON – UW: CH + Gienger + overshoot, new combo in 2019 and so great. Handstands might be a touch off, can’t tell from this angle. Full in dismount is big, bit of leg split, stuck ish with a leg stagger. FITZGERALD – STAN: Twisting on, okay full the rest of the way with a midsize step back. THOMPSON – UW: Blind to Jaeger, bit of feet, this isn’t really her piece. Bail is okay, just over on her first handstand and saves it, full in dismount with a little hop. Actually great technique on the dismount, it hasn’t jumped out at me before. BRYANT – STAN: Wild full, really unlike her, totally missed her block. In slowmo she slipped and missed a hand. Yanked it around and got it to her feet, super impressive, but not a great one regardless. ROBERSON – UW: In double buns and it’s fabulous. Hop change to pike Jaeger to overshoot is GREAT, right on her handstands, double lay… holds it for a few seconds and hops to salute. She’s SO clean these days. These bars scores for Washington are CRIMINAL. Incredibly clean rotation so far. FLAM – STAN: Omelianchik STUCK. Not sure I’ve ever seen her do it that well. Absolutely gorgeous. RILEY – UW: Toe to Maloney, a bit more leg sep on the backswing than her usual, great bail. Double lay stuck like it’s nothing. She needs to clean up her form under the bar, haven’t seen that as a problem for her before, but it’s still a hell of a routine. YU – STAN: Beautiful full, high, aggressively flared, hop back but tons of amplitude before. COPIAK – UW: Pike Jaeger is beautiful, over on a handstand, saves it… wait nope, it went back over… has to drop and cast back up. Beautiful on her half in half out dismount, stuck, they’ll need to drop that score anyway though. GARCIA – STAN: Tsuk full… crashed it and rolls onto her side, just no block at all. This vault has been a nightmare all season, I’m not shocked that she fell eventually but I am bummed. NELSON – UW: Pressure on now. She’s been out with… I want to say a wrist injury…? It’s all a bit hazy, but this is her season debut. Blind to Jaeger, a bit close, gorgeous Pak to switch kip, blind full double back beautiful and stuck. Not the cleanest I’ve seen her but enough for today. Washington was spectacular on bars and the scores do not really reflect that. Four sticks, two very close, releases beautiful, I don’t know what else they need to do. Stanford was standard on vault, some nightmares, Flam was spectacular and could have gone 10 on a different day. CUNNINGHAM – UW: Huge full, twisting on a touch, really pretty in the air with a step back. LAWSON – STAN: Maloney, leg sep throughout, to toe shoot. Toe blind full with leg split, releases early for her double back and it’s underrotated with a big step forward. RILEY – UW: Really nice Y arabian, not huge but pretty, step forward. WAGUESPACK – STANFORD: Maloney to Pak, really beautiful, pulled in close on her double lay and lands it DEEP with a hop. Solid save on a mistimed release there. 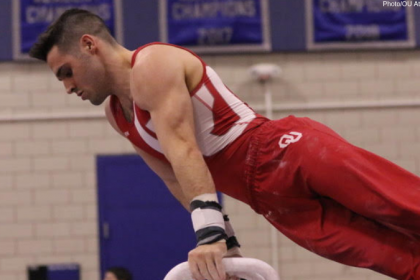 COPIAK – UW: Yurchenko full, little wild on the block but STUCK. Money gun goes off. Cleaner in the air than her usual too. Nice! YU – STANFORD: Maloney, big leg sep, to bail to Ray. Almost went over on that bail I think. Stalder to double back, hop back but solid. First good hit for the Cardinal. ROBERSON – UW: One of my absolute favorite falls. Beautiful on the table, big and clean, midsize hop straight back. Soooo probably a 9.75 seeing how these scores are going. 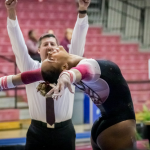 LAWSON – STANFORD: Toe to Tkachev is great. Double lay STUCK with an arm swing. BRUNETTE – STANFORD: Pirouette combo to Deltchev to overshoot, really good! Double lay with a big step back. She hollows it aggressively to get it around. Might need to downgrade that, it’s been letting her down recently. STEPHENSON – STANFORD: Late swap from Flam. Over on a first handstand, casts back out, off on her Tkachev. Double layout okay with a step. Ain’t easy to go in on that kind of notice as a freshman. Oh Stanford 🙁 Bars is such a nightmare for this team. Washington still getting slaughtered by the judges but at vault does at least have some technical weaknesses that provide openings. Looks like Brooks will be in for Riley on floor for the GymDawgs, which I’m thrilled about. Floor was never Riley’s jam and I don’t think either she enjoyed some of the landings she did in January any more than I did, but ultimate creds to her for stepping in on a new event in senior year to help with a depth crisis. COLE – STAN: Her beam music is Love On The Weekend which makes me feel zen every time. BHS LOSO, split double stag, nice and steady so far. Check on a front aerial, full turn, hop back on dismount. CUNNINGHAM – UW: Front thru double back DRILLED. She’s been struggling to get scores up on this routine for… no reason at all. Double pike, bit too much power, shifts her front foot. Switch half wolf full, two and a half super controlled. STEPHENSON – STAN: Jim says she “just had an adventure on bars” DEAD. Front aerial is great, BHS LOSO. Through the leap series, full turn, gainer full stuck. Fantastic recovery. BROOKS – UW: Double back to open, nailed it. She has an up to level deduction her but she’s still the superior choice. Switch ring to wolf full, looking more nervous than she has in her exos. One and a half front lay beautiful, I zoned out of her last pass but she got it. Super clean. LAWSON – STAN: NAILED the Arabian. Her consistency on that thing this year is ridiculous. Switch half great, check on full turn, BHS LOSO, gainer full dismount is great. WASHINGTON – UW: DRAMA. This is her best college floor routine so far. Soars on her double back, maybe a little foot shift but that thing goes straight up. Front lay front full, maybe a touch of body position, switch half Popa glorious. Double pike, little rebound. SHE’S GOT TOO MUCH POWER. BRYANT – STAN: Full turn, BHS LOSO with massive air and maybe a knee. Split switch split jump, gorg, punch front with a little shuffle. THOMPSON – UW: Big scoot back on her double back. I think that was a tour jete full? Front lay front full, little stumble, Shushunova, Rudi clean. FITZGERALD – STAN: Front aerial back tuck great, some dance stuff, hitch kick front aerial 2ft. One and a half twist with a big hop forward. ROBERSON – UW: Front double full front tuck is just massive, hop to lunge. This is a two pass routine and it works for her. Switch ring wolf full, maybe a small deduction out of the leap pass, Rudi LOSO and the tiniest shift of the back foot but fantastic. N. HOFFMAN – STAN: Front aerial, lean check. Switch split straddle 1/4, great, side aerial full twist off to one side with a hop back. HOFFA – UW: Double pike, gorgeous landing. Front lay front full great, she can struggle to control her landings but this is going well. Tour jete half wolf full, nice, her choreo is mostly nonsense but it’s all good, double back… looks like it could have been a tiny bit underrotated but it wasn’t a disaster. Season high for Stanford on beam! Solid floor rotation for the Huskies too, though the routine order was all wrong. Cunningham is getting robbed week after week, she should probably stop leading off. 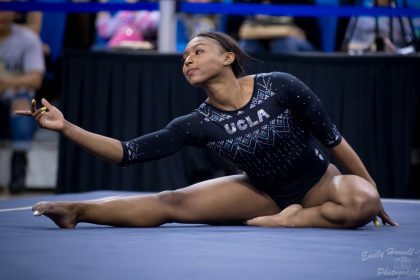 This should be a great rotation for the Huskies but I’m going to not breathe through Rose’s routine in the lead after she fell for the first time ever last week. ROSE – UW: Split jump on, front aerial – BHS, full turn. Downgraded that acro series after the struggle last week. Switch split, cat leap front aerial beat, also a downgrade from her old mixed series that comes from a Y turn. Side aerial tuck back full with a bounce. Nailed it. COLE – STAN: Two and a half punch front, great, close to the line but inside it, switch ring switch half. Clean through the rest, I decided to stop thinking about skills for a second. 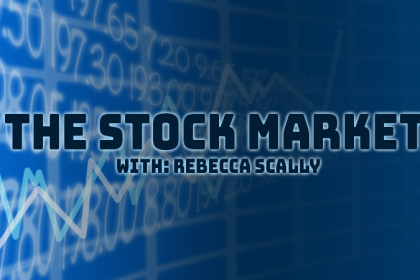 RILEY – UW: She won’t be in this lineup forever but she’s doing a great job. BHS LOSO, feels off line but she keeps it on, full turn. Split straddle 1/4, split + LOSO + beat, one and a half twist stuck. H. HOFFMAN – STAN: Rudi is great, solid leaps, double back, another Rudi to close to double stag. Just noticed Tabitha is in hot freaking pink and I love it. Elise Ray is also wearing hot pink leggings. WASHINGTON – UW: BHS LOSO, leans… back? That’s creative. Beat jump, switch side to straddle stunning as usual. Full turn, side aerial back tuck full with a little bounce in place. FLAM – STAN: Double arabian DEEP with a big step back. Front full front pike so airy, double pike good with a stagger to the side. Her tumbling feels so much more emphatic than it did last year even though the landings aren’t quite there yet. BROOKS – UW: Kickover front BHS, she’s also in double buns with a zigzag part which is so perfectly third grade I adore her. Front aerial beat, full turn, switch stag gainer full with a hop back. I’m not over that dismount combo yet. LAWSON – STAN: One and a half thru double back, hop back, I think that’s an upgrade. Double pike landing right on. She’s SO good this year. COPIAK – UW: Full turn, BHS LOSO pulls it into line with her arms. Switch half beat, great side aerial, one and a half with a little hop. Great! HOANG – STAN: Double lay is so beautiful, step forward today. Switch tour jete full, front lay front full is gorgeous, illusion turn and the team is losing it, double pike solid. Really good and she’s becoming such a performer too. ROBERSON – UW: Switch split jump in combo, love that skill and it’s so cool to see it twice today. Full turn, LOSO-LOSO and her knees are already a bit better than earlier in the year. Cartwheel gainer full and hop on her toes. BRYANT – STAN: Full in a bit overpowered, front thru double back with a step front. This routine is so easy for her but it’s so not easy. Switch side Popa, open double back to close. Ridiculous. Solid meet from both teams! Washington’s scores felt low throughout, and Stanford did a great job working through some errors. This is the Huskies’ first win in Maples since 1998, which is incredible. Washington was underscored the entire meet. Frustrating.